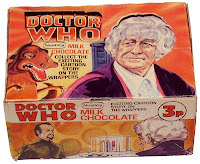 Today it’s picture three of Doctor Who Fights Masterplan “Q” - the 15-part adventure on the backs of the Nestlé Doctor Who Milk Chocolate bars. 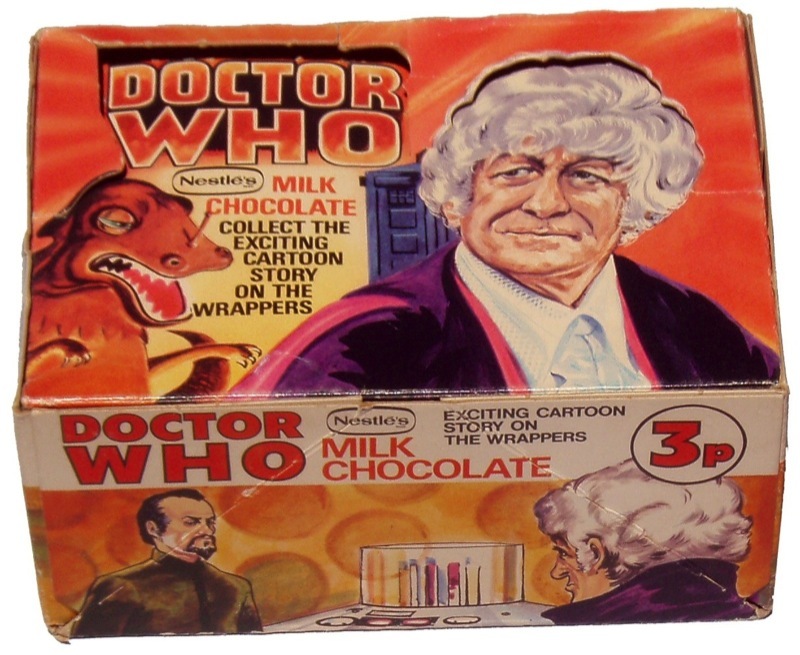 On the planet Quorus The Doctor and his faithful assistant Jo Grant close in on the mysterious stranger who seems to be gathering some rocks. Here is a nice three-quarter view of the sweetshop display box.